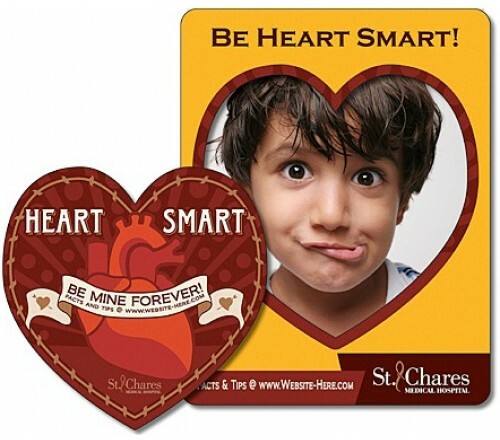 How you can contribute to the Society through Awareness Big Heart Shape Full Color Magnet? Awareness big heart shape full color magnet is a perfect choice for all businesses and individuals who wish to express their sentiments and support some cause. This magnet is largely preferred for value building because people can easily identify with this shape. You can stir passion and building awareness by imprinting these magnets with inspiring messages. Heart Health – This is an issue which is gaining prominence in all societies around the world and the blame largely falls upon hedonistic lifestyle and habits. Sudden Expected Death Syndrome or SADS is one of the widely debated topics around the world as in America. If you wish to spread awareness about healthy lifestyle or regular heart checkups – this magnet is just for you. Get it done with colors of choice and see the difference it makes to lives. Very creatively, you can start spreading awareness about the heart health on Valentine’s Day by gifting the very first customized awareness big heart shape magnet to your “someone special” and then to all whom you love and wish to remain healthy. It also makes an impressive giveaway in heart health programs or Women’s heart health week (observed in first week of February). Mental Health Awareness – It’s a disheartening reality that United States is home to millions of people who suffer from some sort of mental abnormalities or aberrations. Yet, people shy away from this topic with the fear of being labeled or ridiculed by the society. If you wish to contribute to this growing epidemic in any way, then start distributing heart shaped magnets imprinted with mental health awareness messages during the Mental Health Awareness Month observed in May. By handing out this magnet you can at least try to reform your community to stand up for people suffering from such aberrations or to come out of shell and debate this cause in open. This is also one way of striking long lasting individual or interpersonal relationships because people love to be educated about stigmatic issues such as mental illness, which bothers them. Whether you’d love to educate your clients, customers or students on the topic of depression or you wish or you wish to organize a fundraiser for the victims, you can always seek this customized awareness big heart shaped full color magnet to get your word out there. Childhood Cancer Awareness – Do you know thousands of children are diagnosed with cancer in US every year? The causes of the cancer are largely unknown and millions of dollars have gone in identifying specific reasons for this epidemic. You can always do your bit by extending support to affected families through awareness generation and fundraisers. 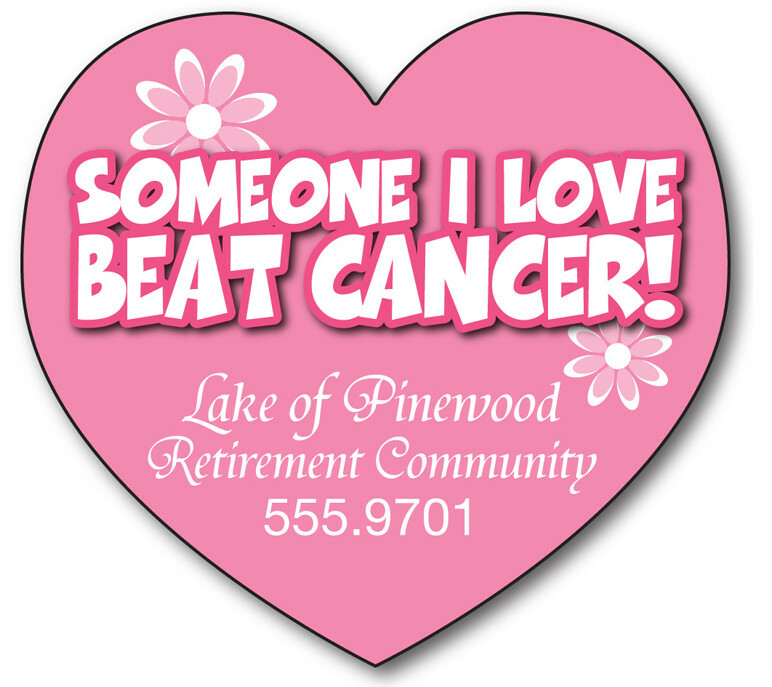 If you wish to do either of the two, go for this custom awareness big heart shape full color magnet. You can either get in touch with reputed cancer societies or help them in fundraising or you can do it on your part. National Poverty in America Awareness – Being largely labeled the “Land of Plenty” still millions of Americans have to struggle to make the ends meet or fight, homelessness and poverty. This is why every year National Poverty in America Awareness month is observed in January. You can always raise awareness about poverty and homelessness by distributing this National Poverty in America heart shaped awareness magnets. Free art setup, free shipping, and free online-design – are just miniscule fraction of benefits that you can expect on buying these hearty magnets from some reputed custom magnets store operating online.